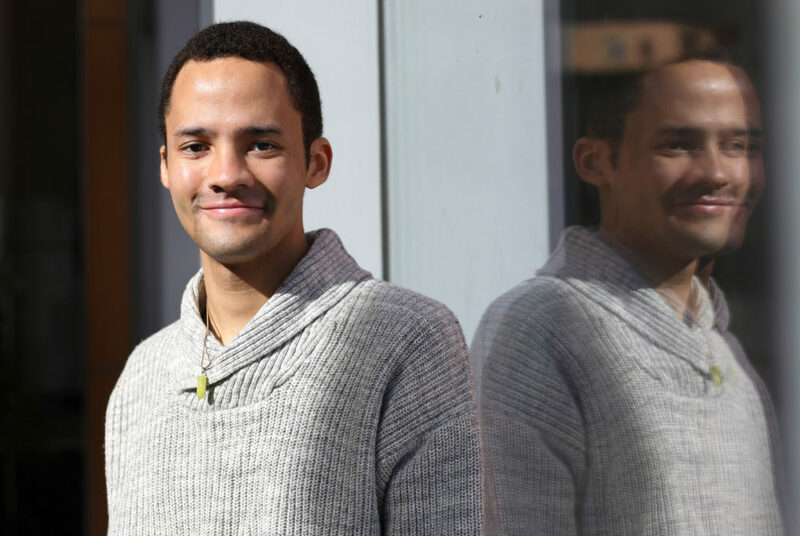 Junior Quentin McHoes, an international affairs major who transferred to GW last semester after graduating from a two-year community college in Wyoming, announced a bid for SA executive vice president Monday. A recent transfer and Student Association outsider is the first to launch a campaign for one of the SA’s top posts. Junior Quentin McHoes, an international affairs major who transferred to GW last semester after graduating from a two-year community college in Wyoming, announced a bid for SA executive vice president Monday. McHoes said his previous student government experience at Northwest College has prepared him to tackle three main platform goals: expanding diversity efforts, increasing affordability by adding more food vendors and improving communication among branches of the SA. McHoes must collect at least 500 signatures and be approved by the Joint Elections Commission by Feb. 26 to officially enter the race. At Northwest College, McHoes served as a representative on the student senate and led the school’s Spanish club, the Model United Nations team, a political science organization and Phi Theta Kappa, an honors society for two-year colleges, he said. He also held a leadership role in the organization Native Ways, a group for students with Native American heritage. If elected, McHoes said he will increase dialogue about diversity and inclusion by hosting discussions with the SA, student organizations and administrators about topics like the call to change the Colonials nickname. He said the workshops will enable student leaders and officials to have more conversations about inclusivity. “If those voices are not being directly incorporated into the decision-making process, then you’re losing a core component of what it’s like to truly have community where everyone’s voices are involved no matter who they are,” he said. He said he has spoken “unofficially” with administrators about his platform points, but is “just getting started.” McHoes will meet with University President Thomas LeBlanc, every member on the Board of Trustees, every dean and every vice provost over the next few weeks to discuss his ideas, he said. McHoes’ campaign also focuses on combating food insecurity on campus. He said he would “go above and beyond” to add more affordable vendors to the GWorld program, like convenience stores, restaurants, health food stores or hair and nail salons. McHoes plans to negotiate with companies around D.C. to find businesses interested in joining GWorld, he said. Food insecurity has been a long-running concern since the University switched to an “open” dining plan in spring 2016. Student leaders opened a food pantry that year and later launched a food insecurity task force. McHoes said he would also advocate for combining dining dollars and Colonial Cash – which students can use to pay for items like laundry and printing – into one entity called “Buff and Blue Bills” so students can use their GWorld to pay for items at the GW Bookstore in the Marvin Center, which also sells apparel. Students manually add Colonial Cash to their GWorld cards, while dining dollars are automatically loaded onto the cards at the beginning of each semester. “I think it’s important that students are allowed to use the money that they pay for to service themselves in whatever ways they deem necessary, in whatever ways that they would like to use it,” he said. McHoes said he also plans to push GW Libraries to include more textbook options in the Top Textbooks program, which reserves about five copies of textbooks for high-demand courses. He said another pillar of his platform focuses on reducing fees for mental health assessments and psychiatric counseling – appointments that are not covered in the 12 hours of free sessions that students are currently offered. Students pay $30 per medical visit and $80 per one-hour psychiatric visit. McHoes also wants to use his position as an SA outsider to his advantage. He said he could offer a fresh eye to the SA, identifying gaps in communication within the organization that may prevent the body from passing more legislation. In the fall semester, the SA Senate passed four pieces of legislation, the fewest in at least four years and one fewer than the year before, which senators attributed to a shifted focus to behind-the-scenes advocacy work. Since the start of the spring semester, the senate has passed three pieces of legislation. “I’m standing in the margins looking in, which enables me to see the culture and the structure of the Student Association as it currently exists, and therefore I am enabled to better recommend ways to improve it,” McHoes said.